Full Day Blue Water Charter in My Girl Join our skilled crew aboard the 7 meter My Girl and head north-west of Port Moresbys harbor in search of coral trout, mackerel, tuna and a range of reef fish. Food, drinks and fishing equipment are included. Food, drinks and fishing equipment are included. 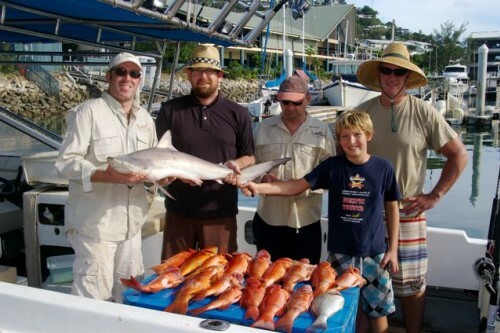 We can also do a 3/4 day tour and a local bottom fishing tour. Inclusions: Blue Water Fishing, 5.3 meter vessel, Bait, Fishing Rods & Reels, Tackle (*on a replace if lost basis), Lunch, Soft Drinks, Fish Cleaning, Swimming (*please ask the captain). We recommend that you bring a hat, long sleeved clothing, sunscreen, a plastic bag to take your catch home in, and your camera. An iced esky is also provided if you wish to bring your own additional drinks. We can stop on the way back to Port Moresby Harbor at one of the white beach islands where you can have a swim before the day concludes. 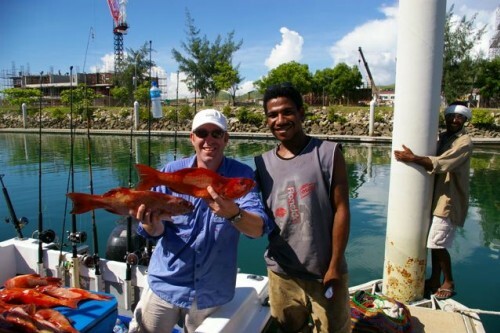 Our Company Fishing Port Moresby is Port Moresbys most experienced fishing charter business and is run by one of PNGs most experienced recreational anglers. We operate two vessels both suited to both river and blue water fishing trips. The MV Tin Pis is a 5.3 meter mono-hull plate aluminum boat with twin Suzuki 135hp outboards. The MV My Girl is a 7 meter tri hull boat with plenty of canopy shade and a large rear deck perfect for fishing. All our fishing charters include freshly made sandwiches for lunch, soft drinks, water, bait and all fishing equipment. Tackle is supplied on a pay if lost basis. Our crew will clean and gut your catch and all fish are stored on ice until the end of your charter. If you have a particular type of fishing you would like to try, just ask your captain. 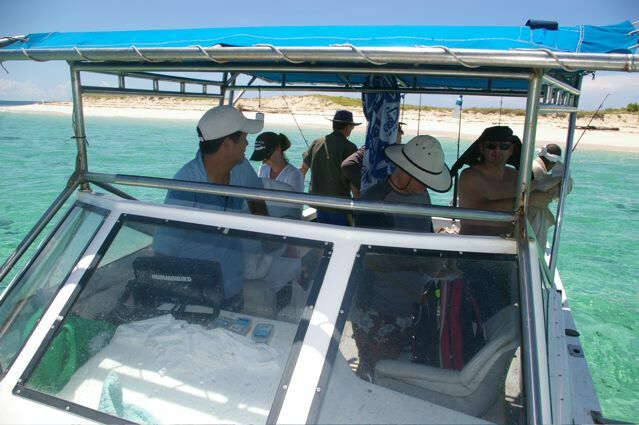 Our boats are equipped for bait fishing, trolling, live baiting and casting. 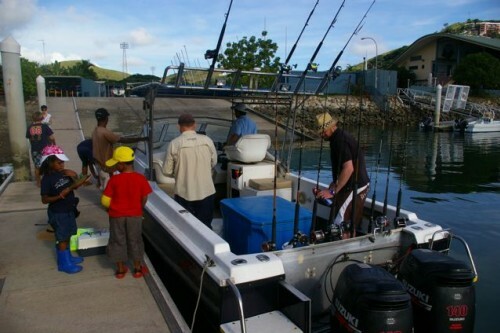 All vessels are equipped with spare fishing rods and reels, and safety equipment.